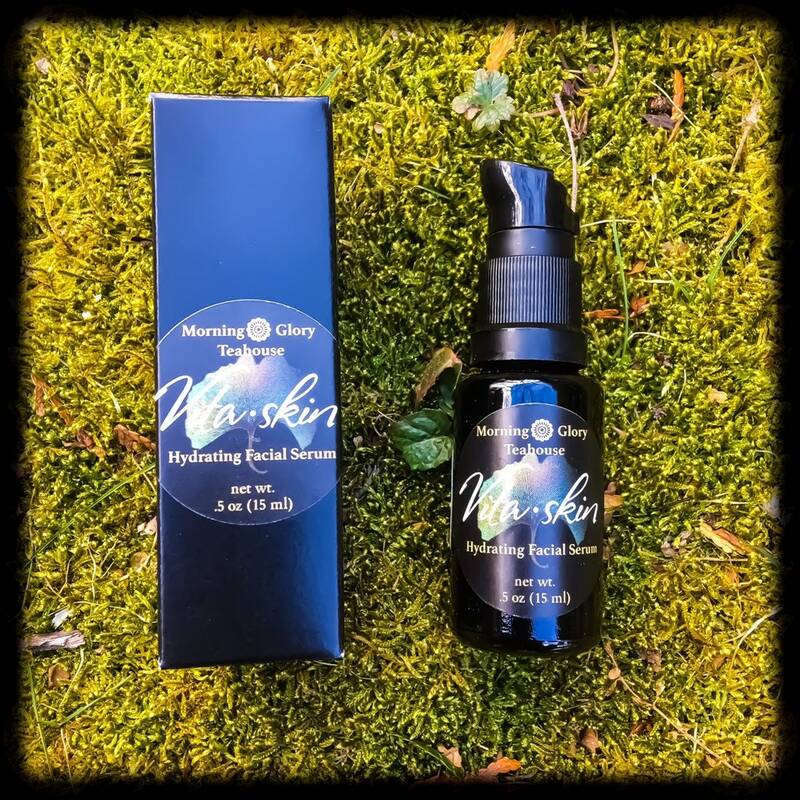 A nutrient-rich facial serum created with all natural ingredients that are good for your skin, and provide balancing and hydration. 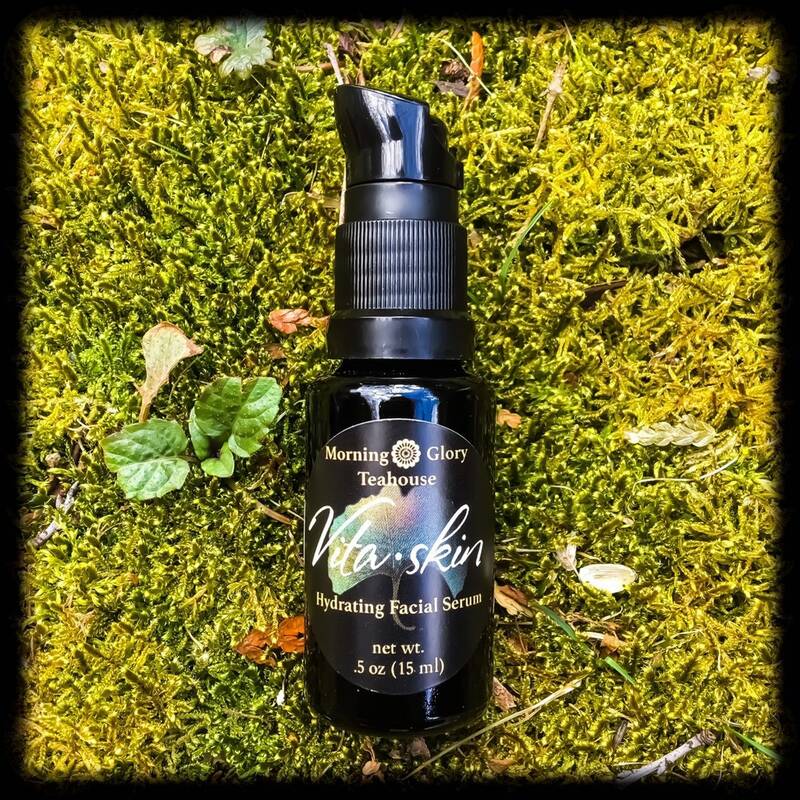 High in nutrients, fatty acids, and vitamins, this delightful serum sinks into your damp skin, promoting healing, and leaving a soft and luminous radiance. Appropriate for all skin types. This beautiful bluish-green serum contains a pleasant, uplifting organic essential oil blend of Moroccan blue tansy, Croatian helichrysum and Bulgarian zdravets (herbal geranium). Blue Tansy's vivid deep blue color develops during the steam distillation process - the indigo blue chemical constituent known as chamazulene is formed when the essential oil components released from the plant material are exposed to heat. Topical recommendations for the cooling nature of this blue oil include pairing it with Helichrysum in a carrier oil to help alleviate the pain of sunburn, inflammation, and minimize accompanying skin damage. The fruity/minty aroma of blue tansy also helps combat depression. For Face: apply only 1 pump to slightly damp skin morning and night after cleansing and toning. Only 1 pump is needed for facial skin hydration. Misting your face with either water or a hydrosol prior to applying will help this facial serum absorb faster. Storing your Vita·skin facial serum at room temperature, out of direct sunlight, will help it last longer. Shelf life is 2 years. Free from artificial ingredients, synthetics, phthalates, parabens, and alcohol. Safety Considerations: Contains a tiny amount of caffeine. If you are highly sensitive to coffee, or have an allergy to it, we recommend avoiding use of this facial serum. A patch test should be performed before use for those with sensitive skin. Pure Argan Oil is rich in vitamin E, carotenes, antioxidants and essential fatty acids. It is used for massage, facials, as an ingredient in face creams, and in aftershave lotion for men. Argan Oil can also be used to nourish the hair, making it shiny and healthy looking. I use organic virgin Argan Oil from Morocco, where the kernels are cold-pressed to preserve all of the rich skin benefits.